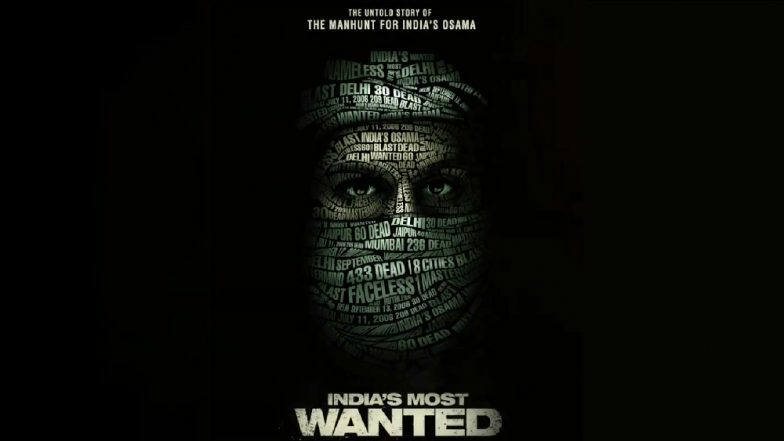 The teaser of Arjun Kapoor's next, India's Most Wanted is all set to release tomorrow. After releasing an intriguing poster in the morning, now the makers have also released a motion poster. In the poster released earlier today, we saw a glimpse of Arjun Kapoor and his intense eyes were enough to pique our interest. The film, based on real-life incidents is a tribute to the unsung heroes of the nation. Arjun Kapoor will be seen playing the role of an intelligence officer. Sharing the video on his Twitter, Arjun wrote, "He was faceless. He was nameless. He was called India’s Osama. Presenting #IndiasMostWanted, a story inspired by true events. Teaser out tomorrow." Last September, Arjun had shared his first look from the film and wrote about working on the film saying, "An exceptionally talented team has come together to tell a story that from day one stirred me from within. Some journeys give you a different perspective on everything u thought u knew. This is one such journey." India's Most Wanted First Look: Arjun Kapoor's Intense Spy Avatar Will Pique Your Interest! The film has been produced by Fox Star Studios and is directed by Raj Kumar Gupta of No One Killed Jessica and Raid fame. Well, after these intriguing posters, we cannot wait to watch the teaser tomorrow. Arjun was last seen in Namaste England alongside Parineeti Chopra which did not fare well at the box office, let's see if the actor can now bounce back with his upcoming film.